Abstract: Chip-Scale Atomic Clocks (CSAC) combine Micro Electro-rnechancial Systems (MEMS) with modern photonics and atomic physics to enable atomic-quality timing accuracy in portable battery-powered systems. Since becoming widely commercially available in 2011, CSAC has enabled new applications and architectures for communications and navigation systems, remote sensing, and test and measurement. This presentation will cover the engineering design and development of the CSAC, with particular emphasis on the engineering trade space and decisions that led to the current state-of-the-art devices. 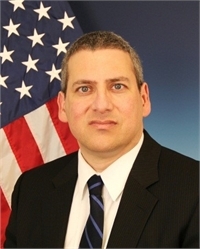 Biography: Dr. Robert Lutwak is a Program Manager in the Microsystems Technology Office of the U.S. Defense Advanced Research Projects Agency (DARPA/MTO), where he manages programs in photonics, atomic physics, and MEMS, with particular emphasis on applications in Position, Navigation, and Timing (PNT). Prior to joining DARPA in 2013, Dr. Lutwak served as Chief Scientist at Symmetricom Corporation, where he led the CSAC Research and Development team from 2000 through 2011. Dr. Lutwak received his B.S. in Physics from Miami University in 1988 and his Ph.D. in Atomic and Optical Physics from the Massachusetts Institute of Technology in 1997. He is a Senior Member of the IEEE and has served on the Technical Program Committee for the IEEE Frequency Control Symposium since 1999.